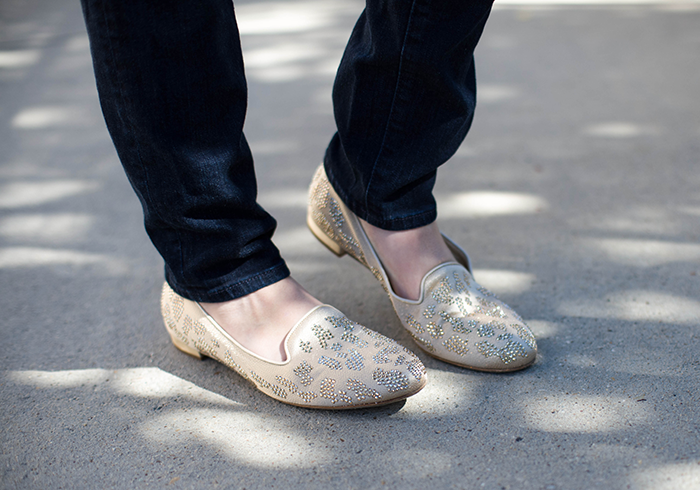 Because who doesn’t love a little sparkle on Friday? 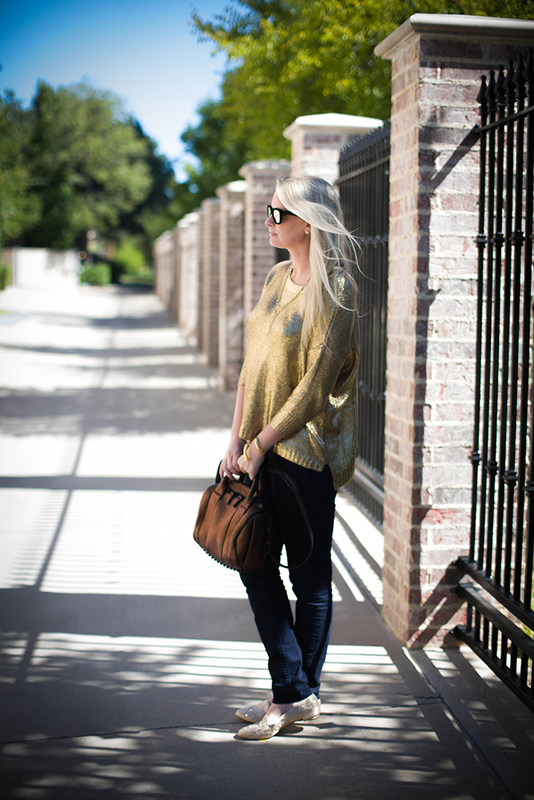 When the weather cooled down in Dallas I immediately pulled out one of my favorite sweaters – this Madewell piece was a major sale find last year (similar sweater here). 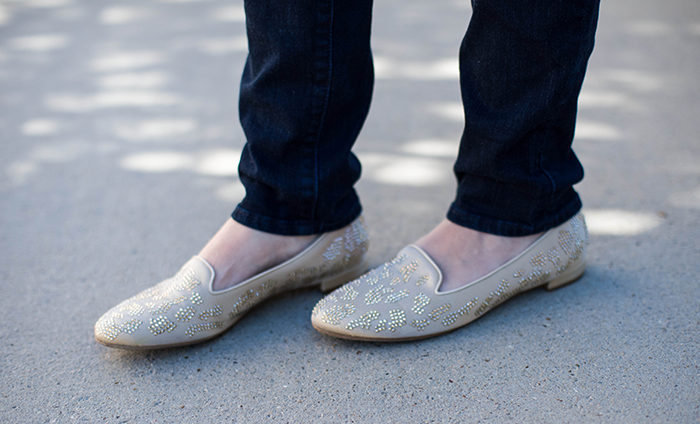 I thought it went well with my new pair of sparkly slippers from Emy Mack – the studs form a leopard-print shape, but in a neutral color scheme so that I can wear them with everything! This weekend is the TX / OU game, so I’ll be venturing to the fair for all the festivities – what are your weekend plans? Hope you have safe one! I am crazy for gold so you know i am dying for your sweater, necklace, bracelet, bag everything in no particular order. 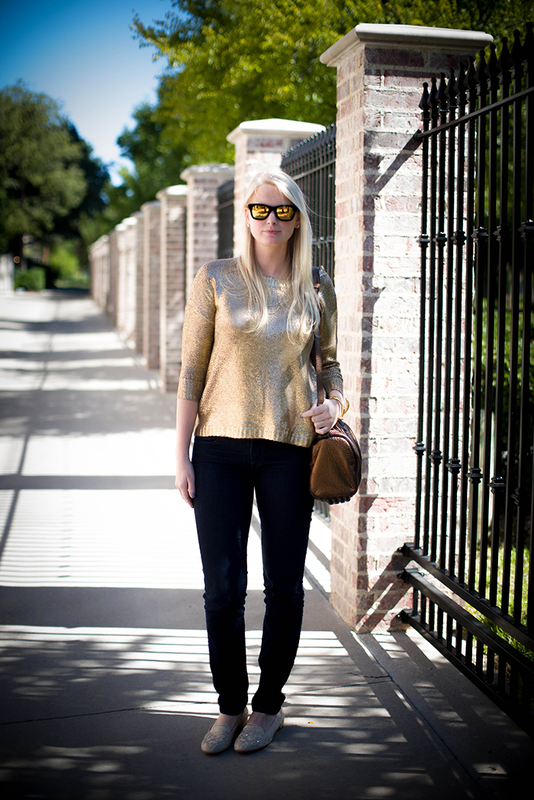 Love the reflective sunglasses with the gold sweater. What a great outfit for getting the weekend started! Love the slippers too! Oh I love that golden sweater, you look amazing in it. Ohh that sweater!! So fun. And I love the simple wrap bracelet with it! loooove that sweater. I got a similar one from Michael Kors last year… you have inspired me to pull mine back out! Wow. That sweater is fabulous!! 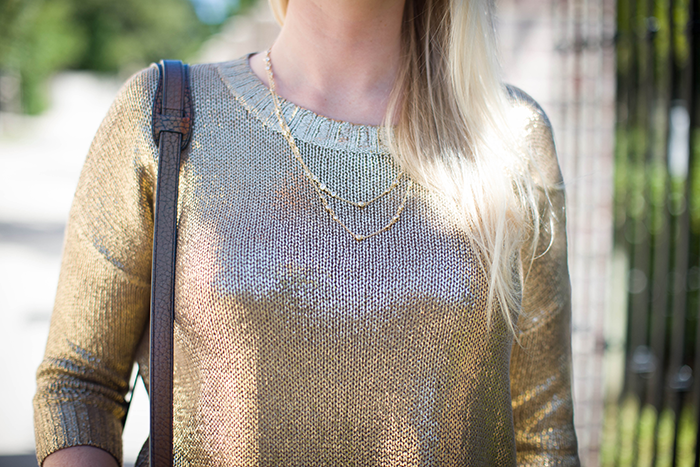 I love all things gold right now, and this sweater is amazing. And I love the shoes! Have a great weekend! dressed up in a comfy sweater! is there anything better?? love it! have a good weekend! 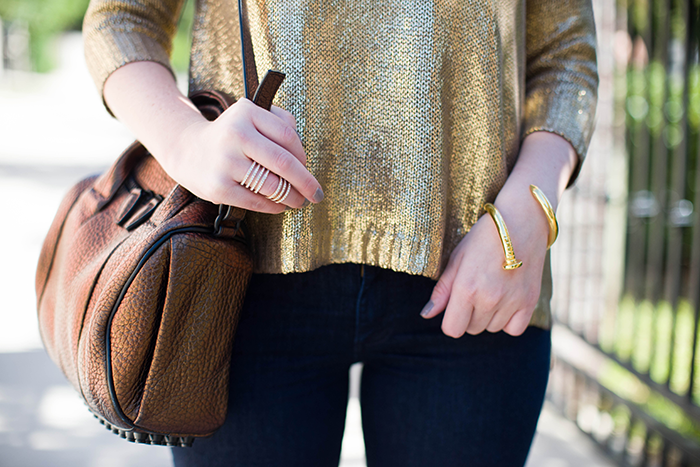 Loving this casual gilded look! 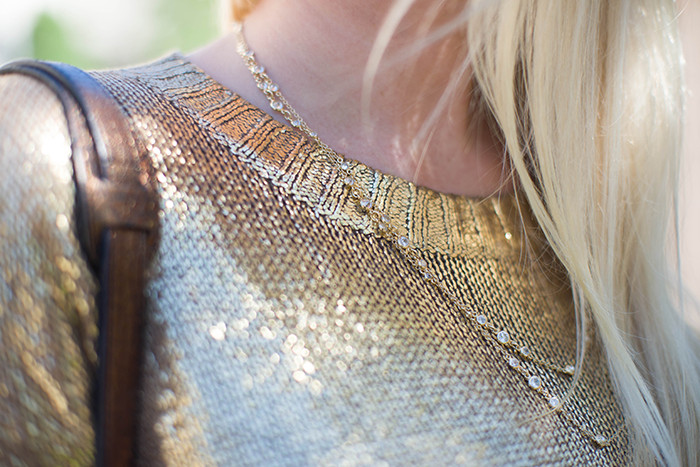 Gold makes everything feel more special, doesn’t it? Gorgeous sweater, pretty girl! So gorgeous!! I absolutely love the sparkle!! Your outfit reminds me of the holidays and that makes me happy! :) Have a wonderful weekend!! This sweater is great! Love how you paired it with jeans, I could also see it dressed up for a holiday look! I am really liking gold metallics for this time of year. It shimmers in the fall lighting perfectly!